However, what is new is that the NBA2K jersey release allows for franchises to take a different look and feel to the organization through their eSports teams. The classic looks are very tight, but kudos to the chances that the franchises took with the themes surrounding their locales and colorways. Check them out here via SportsLogos.net. Kudos to the Clippers and Kings embracing their original colorways, and elevating the look. The Knicks get a razz. The logo would probably fit stronger with a semi-pro football team versus an eSports team. I’m struggling with the leap of the Jazz…You have such great colorways, run with them. 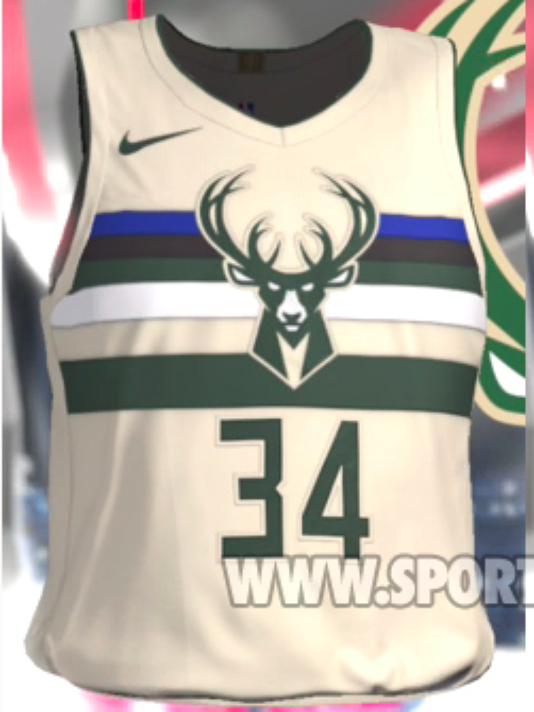 And kudos with getting creative on naming the look of the Bucks as ‘Cream City’ and Memphis’s ode to civil rights. The new unis will certainly be a revenue stream for jersey and apparel sales. How much? We shall see with the growth of the new 2K league and teams. We certainly will see a lot of these looks blending into the uniforms on the court. Let’s see how they look in action. Keep your game tight.